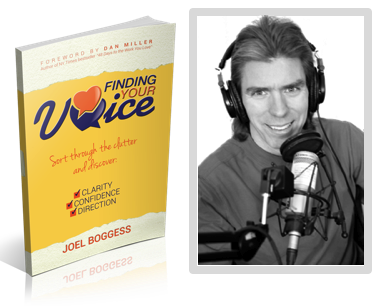 Joel Boggess has practically spent his whole life giving other people confidence, focus, and direction. All in order to help them achieve their goals. He’s been a martial arts instructor, swimming teacher, personal trainer, and spent nearly 25 years in radio broadcasting. 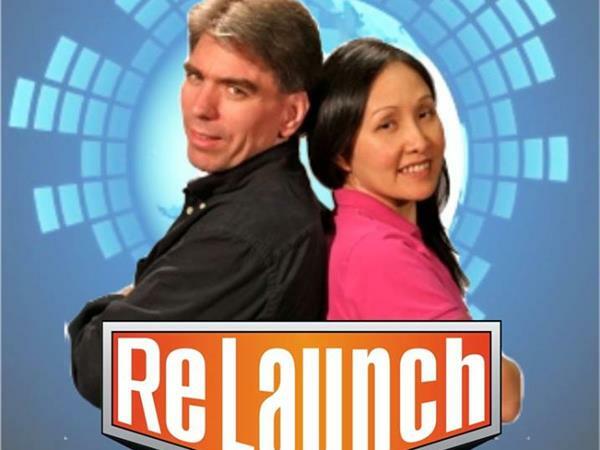 Now, he’s a podcast and book launch coach, with a No.1 podcast on iTunes called Relaunch. It’s there he continues to help people to grow and have the belief to achieve their dreams. It brings together his passion for broadcasting with his natural ability to help others. He has achieved this success thanks to the effort he put towards initially launching his podcast. And he has shared with us exactly how he managed to do this. Plus, he reveals who he actually delivers his podcasts to when recording. We talk a lot about needing to know who your audience is. Get a sense of what they like, don’t like, what they want, and what their problems are. Even how they talk. That enables you to make sure you become the voice of reason for them. You solve their problems and make yourself indispensable. And that is the case for every medium of communication. It doesn’t matter if it’s a podcast, blog, video or book. In fact, the key to becoming the best radio presenter is to make each listener think you’re talking to them individually. You may have a stadium full of people listening, but you still need to talk to that one person. Joel achieves this himself by having two wrestling action figures on his desk. And they are his audience. They are who he is always trying to explain everything to. And plus they help to keep him grounded and resist the urge to talk to everyone at once. But it isn’t just essential to know who you’re talking to, but what you are going to discuss with them. Before you launch a podcast, you need to have a clear idea of who you’re launching a podcast too. And then you need to offer them something. People are not just searching through podcasts trying to find a way of filling an empty half hour in their life. But people are always looking for a solution to their problems. An answer to their question. Relief for their pain. A way of overcoming a challenge. So to get an audience, you should be providing them will all of that. Click here to get that free infographic. If you’re releasing a podcast as part of your business, then it’s likely you already have expertise in that field. So utilize that. You’re in a great position to know what problems your customers have, and you hold the answers. You need to make a decision about how often you post a new podcast. The more often you post, the more content there is out there, and the more people you should interest. In fact, for the first few weeks, Joel recommends going daily. You haven’t necessarily got to keep it up forever (but it’s really good if you can). It may seem like an aggressive tactic for getting out the gates, and it won’t be for everyone. But it’s a great idea to consider because you want it to get as many listeners as quickly as possible. That will lead to more subscribers. And that should lead to more glistening reviews. So the more you can put out, the more likely you are to achieve that. So when you create a plan, you’ll need to keep to it. And you want to ensure the quality of everything remains throughout. Because all together, that adds up to your social proof. And this, in turn, will convince more people to give you a go. And so the cycle will, hopefully, continue. In fact, you should put out three podcasts straight away. That will help give your download figures a boost upward. It also means that everyone should be able to find something which will interest them straight away. It gives your audience as many options as possible. Plus, it plays into the new way in which we like to consume media, which is in bulk. We’ve all know at least one person who has binge-watched an entire season of their favorite show as soon as it’s released on Netflix. 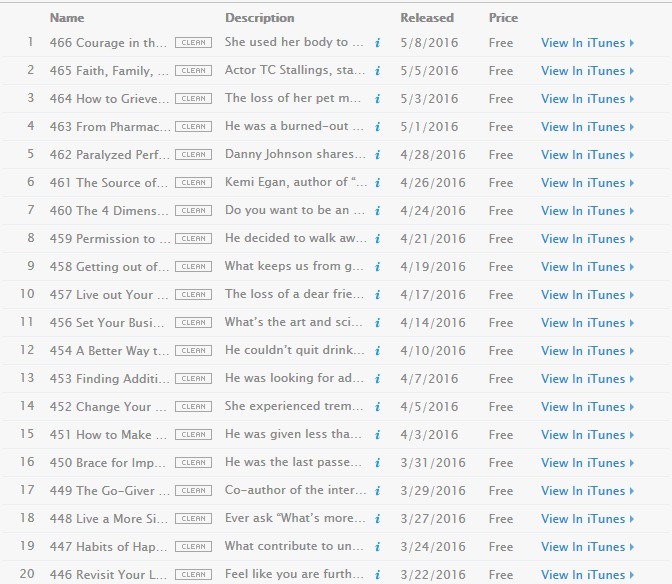 iTunes gives new podcasts an eight-week window in which they can become ‘New and Noteworthy’. It’s a great way of getting it seen and it instantly adds value to your podcast and the brand. Joel achieved this with Relaunch within 12 days, by doing exactly he describes to us. In fact, he eventually topped ‘New and Noteworthy’ in all of his categories. 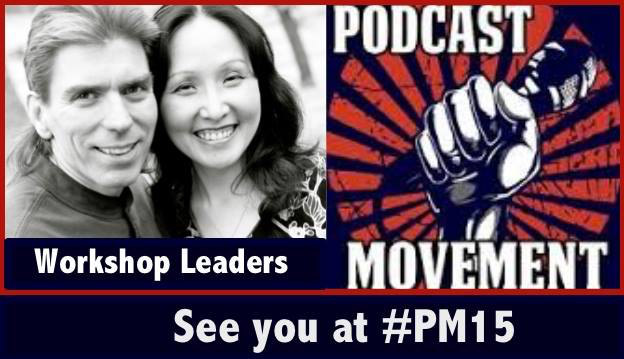 The next day, he had a phone call from an organizer of Podcast Movement Conference inviting him as a speaker. Straight away, within two weeks, he’s been thrust onto the big stage. And he has since had countless speaking opportunities. 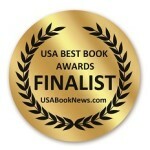 This is all thanks to him quickly gaining the social proof and leveraging that to prove his worth. And that’s why it is so important to market yourself. You can’t just quietly start posting podcasts and expect people to find them. It’s a noisy world. So you need to make it easy for people to find you, and let people know you’re there. Many people don’t get past the eighth episode. But with commitment, a plan, and a proper launch, you can help to prevent this from becoming your fate. Be sure to screenshot every success you have. You don’t then have to frame everyone and put it on the wall, but you may only get the number one spot once. And what happens if you have no proof? All these successes speak for themselves. They prove to everyone else that you’re worth listening to. There are many ways which you can then use this success to make money. Traditional routes are very effective. This could involve getting your podcast sponsored. But can also include using it to sell tickets to an event or special access to something online. But Joel used his success to finding other sources of making money. It has opened up opportunities where he gets paid to talk and allowed him to work with big brands and companies. All of which would not have happened otherwise. His podcast (and book) act as his business cards. They prove exactly what Joel is capable of. And it’s what makes people want to work with you, and not someone else. And these are the tools you can leverage to make the most of them. As the voice and personality of the podcast, you are carrying the weight of the show. But in no way does that mean you are solely responsible for it and have to do everything. Not only do you need to leverage your success, but you need to leverage your time in order to get success. Don’t waste hours editing the podcast when there is someone out there who will do it better and quicker than you. Having someone else who can do the technical stuff for you, means you have more time. You can use this to connect with your audience, build the business in other ways and making, even more, podcasts. Having a launch team will give you the best chance of achieving number one. This will consist of friends, family, colleagues and casual acquaintances you can guarantee will subscribe, leave great reviews, and listen to the podcast. These are just three of the things you can do to appease the iTunes algorithm to get to the top. It’s enough to get you out of the starting blocks anyway. In a way, it’s no different to using keywords to try and get to the top of Google. Thankfully, producing a podcast is a lot easier than it used to be. Technically, it’s as easy as copying and pasting. But it is a lot harder to actually make it a success. Especially when you’re starting out, it’s great to have someone who can help navigate you through that world. And it can be hard to get into the initial flow of creating and posting a podcast. But you shouldn’t be afraid to seek help. Both Joel and John Lee Dumas have plenty of free resources you can use. They’ll help to clarify that goal, putting a plan in place, and acting upon it. Although these tactics are all designed for a new podcast launch, you can also use them with an existing podcast. Topping the ‘What’s Hot’ category on iTunes is admittedly harder, but not impossible; especially with this method. So set yourself a goal, and then make it happen. This is a brilliant tactic for launching a podcast. And Joel has proven this himself with his own podcast Relaunch. However, this tactic has much wider uses. For example, it is the same method he used to launch his book Finding Your Voice. It enabled him to hit the coveted No.1 spot in his category on Amazon within an hour of launching. 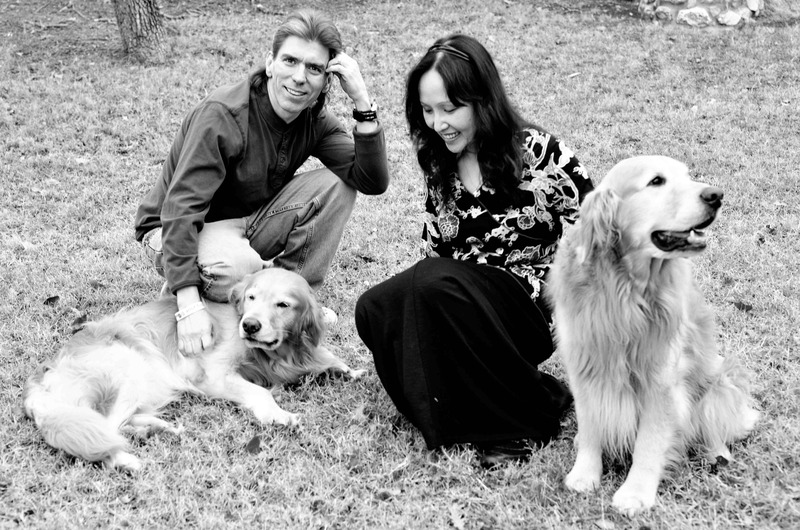 If you have the same aspirations for your book, then Joel’s online, step-by-step course will help you. 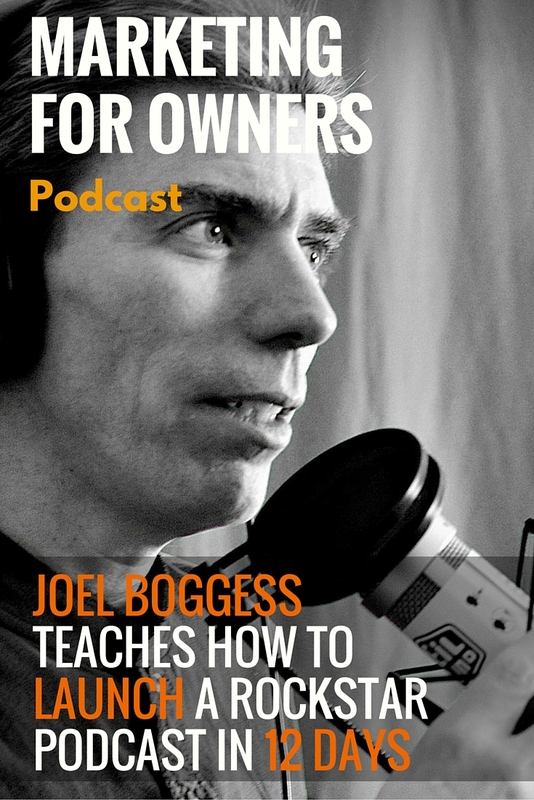 So you can achieve similar success to Joel with your own podcast, he has also created an online training course to help you achieve that too. He has proven that what he teaches works, so head on over there so you can launch the next big podcast. Over on the Relaunch show website, you can sign up for his podcast and read all the advice he has to share. 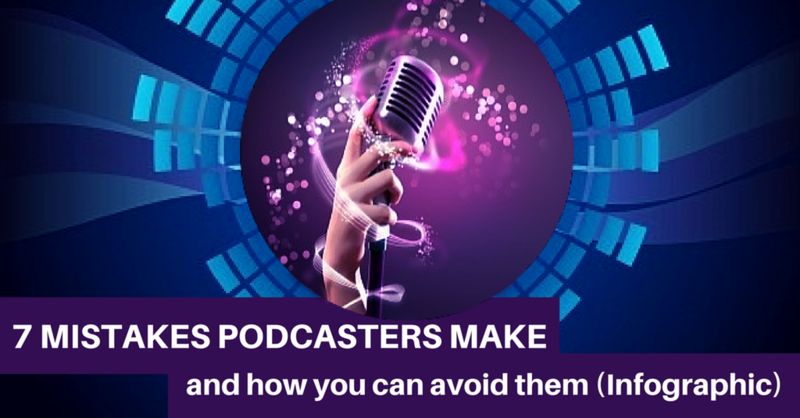 It is also full of brilliant resources, such as the ‘Top 7 Mistakes Podcasters Make & How To Avoid Them’ infographic.